Last Wednesday evening we were honoured to be invited at the Vlerick Business School Brussels Campus. Vlerick Business School is an international business school welcoming MBA and Masters students from 50 countries onto their world-class programmes in Brussels, Ghent, Leuven and Beijing. The school has 22,000 alumni active in businesses in more than 100 countries. The Vlerick Business School invited 3 Belgian social entrepreneurial stories and we’re proud to have been one of them. It was wonderful to be able to talk about the social impact of MyMachine to an audience of around the world. And a privilege to hear the story of Farah Laporte, driving force behind wonderful Refu-Interim, helping refugees who arrived in Belgium to connect them to their first job opportunities. And Kurt Peleman who has an amazing trackrecord in social entrepreneurship, from bringing Ashoka to Belgium to creating Philantropy Ventures. Thank you Prof. Hans Crijns for making the connection. 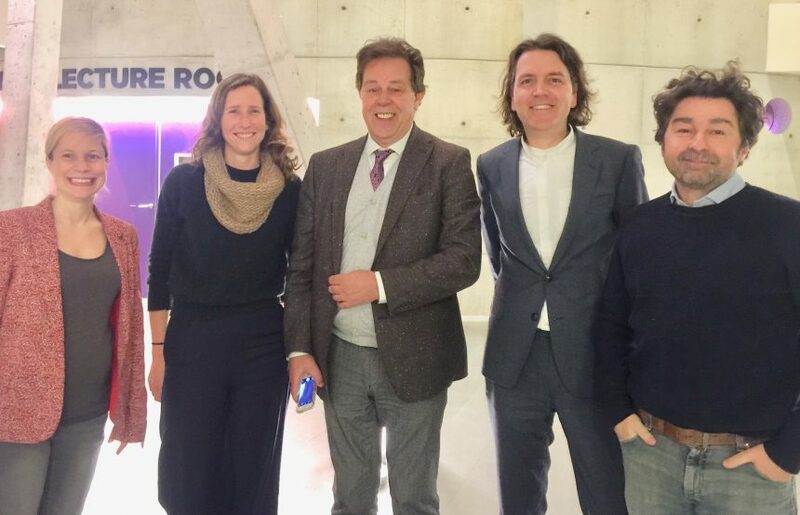 Thank you Prof. Veroniek Collewaert for hosting us and Yannick Dillen for making it all happen! This was the Work-In-Progress Event in MyMachine BelgiumMyMachine Norway 2019 Exhibition Opening!